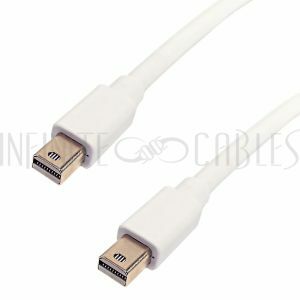 Mini DisplayPort and Thunderbolt use the same connector interface but are actually different cables. Thunderbolt cables have a chip built into the connector and run two independent channels at a data-transfer speed of 10Gbps per channel (totaling 20Gbps). 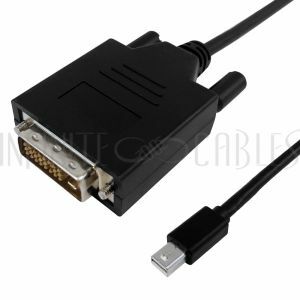 Mini DisplayPort is a passive cable which uses 4 channels and runs at a speed of 5.4Gbps per channel (totaling 21.6Gbps). 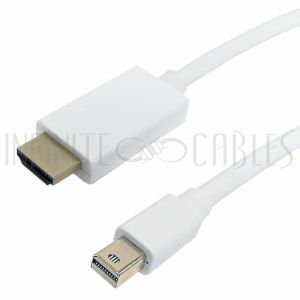 A mini DisplayPort source is not compatible with a Thunderbolt monitor regardless of the cable being used. 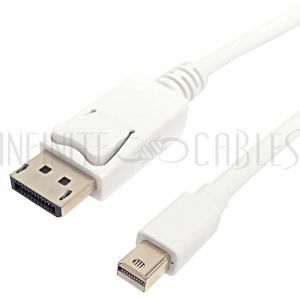 The only cable that can be used to connect a Thunderbolt source to a Thunderbolt monitor is a Thunderbolt cable. Thunderbolt cables are not backwards compatible with any of the other applications mentioned above.